Chocolate Cake decorated with milk chocolate shavings and fresh berries. - All cakes shown on the website only deliver in Bangkok areas. 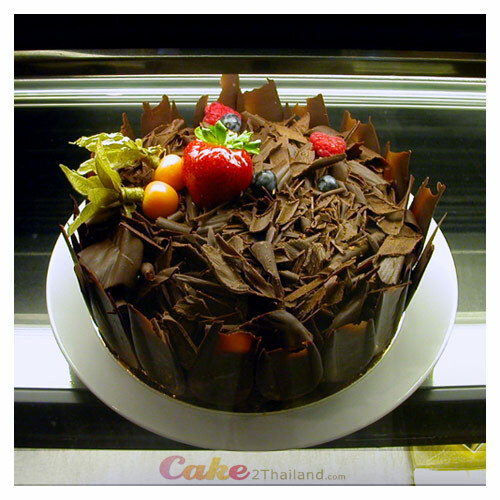 The cakes for other cities in Thailand will be made and delivered by local bakeries. The design and decoration would not be the same. Cakes are subject to availability.